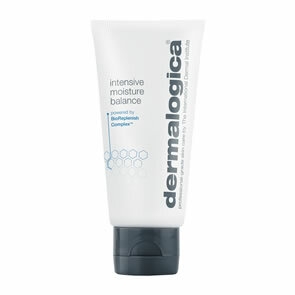 Gently polishes off dulling skin cells to reveal smoother, fresher skin immediatley. Thermal technology activates upon contact with water to facilitate absorption of nutrients and active ingredients into the skin. Provides antioxidant protection while supressing the formation of AGEs (Advanced Glycation End-products). Inhibits collagen degrading MMPs (Matrix Matalloproteinases) while conditioning skin. Physical exfoliants of Magnesium Oxide, Silica and Sodium Bicarbonate polish skin's surface while hydroxy acids (Lactic Acid and Salycylic Acid) and Retinol stimulate cell turnover and cell renewal. Skin's natural desquamation enzymes are stimulated with Prickly Pear extract to optimise the exfoliant effect. While exfoliating the skin, Vitamin A (Retinol) and a stabalised derivative of Vitamin C help condition and reverse the signes of premature aging. White Tea, Licorice Root and Glycine Soja(Soybean) Seed extracts inhibit the production of AGEs (Advanced Glycation End-products) and MMPs (Matrix Matalloproteinases) to prevent the breakdown of collagen and elastin. 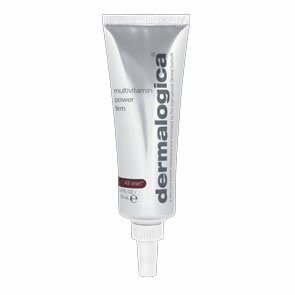 After cleansing with prescribed Dermalogica Cleanser apply a small amount of Dermalogica Multivitamin Thermafoliant to damp skin (a more intense result can be achieved by using directly on dry skin). Move finger tips in light circular motions over skin for 1 to 2 minutes avoiding the eye area. Not recommended for users of medically prescribed exfoliation products. Do not use on skin that is sunburned, irritated, sensitive or has recently been waxed. Do not use directly after a chemical exfoliation treatment. Follow with a sunscreen during the daytime.